WHAT MAY STEM FROM IT? 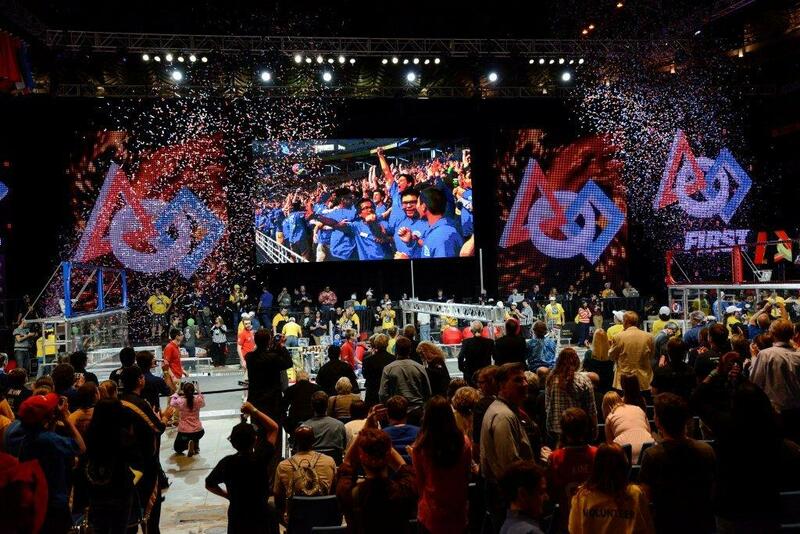 More than 25,000 adults and kids from 30 countries gathered in St. Louis to celebrate science and technology at the 2014 FIRST Championship. Pop culture has embraced geek as chic. Jimmy Fallon has kid inventors on The Tonight Show. Amy Poehler’s social movement, Smart Girls, partners with PBS ’ science YouTube show, It’s Okay To Be Smart, to celebrate females in science. 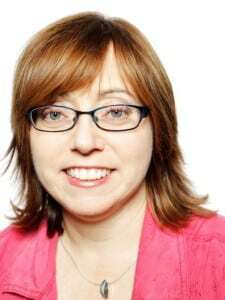 The Big Bang Theory, the CBS-TV sitcom about quirky scientists, remains a top Nielson-rated and critically acclaimed show, with more than 16 million viewers. The cause of science, technology, engineering and math, or STEM, is being embraced by a growing number of groups, including scientists and inventors. Take Dean Kamen. Owner of more than 400 patents, Kamen founded the not-for-profit FIRST, or For Inspiration and Recognition of Science and Technology, to inspire young people to become STEM leaders via hands-on robotics and invention challenges. Each spring, Kamen’s organization hosts the FIRST Championship, the world’s largest robotics celebration, with 17,000 students from more than 20 countries competing in a series of robotic matches. The three-day event rivals the emotion, enthusiasm and corporate sponsorship of major athletic competitions. Cone and FIRST researched human-interest stories that illustrated the campaign’s story categories, such as underrepresentation of females in STEM and closing the STEM workforce talent gap. The campaign secured positive coverage from local St. Louis media as well as national broadcast, print and online outlets. For a news hook, Cone paired statistics from the U.S. Labor Bureau that illustrate the need for more STEM workers. The literature provided examples of FIRST students who get jobs at FIRST-sponsor corporations because of their hands-on tech experience. Cone also secured stories by using data about the paucity of females in STEM fields, alongside examples of all-girl teams excelling in FIRST programs and pursuing careers in STEM. An avid fan of FIRST, rocker will.i.am volunteered to attend the FIRST Championship and was interviewed about the not-for-profit’s role in creating future problem-solvers. He also taped sound bites and posed for photos with students and Kamen. Cone also negotiated a partnership between FIRST and U.S. News & World Report to create a Livestream interview of Kamen conducted by Brian Kelly, senior editor of the publication, during the media outlet’s annual STEM Solutions conference. The interview captured Kamen speaking live from the FIRST Championship on a jumbo screen to about 1,000 STEM influencers and corporate supporters regarding the growth and influence of FIRST in STEM education and the workforce. Two national outlets, Bloomberg Radio and NationalGeographic.com, interviewed Kamen and several students about FIRST. Bloomberg Radio ran the interview live and NatGeo’s video story positioned the FIRST Championship as a cool sports experience that teaches kids self-confidence and prepares them for careers in STEM fields. Cone and FIRST also secured a live broadcast at the Championship from The Weather Channel, focusing on the FIRST LEGO League program’s weather disaster challenge. Every year, each FIRST program issues a challenge for students to solve. The FIRST Lego League program tasked students with solving a weather-related disaster that could impact their community. The coverage highlighted how FIRST is supporting STEM challenges by encouraging kids to think creatively and pursue inventing. Many of the FIRST teams now are seeking patents for devices that can help communities solve weather-related issues. Influencer support on Twitter contributed to the growth of social media engagement, as the PR team secured social media mentions from will.i.am, Emma Dumont (ABC Family’s Bunheads) and Melissa Rauch, who plays Dr. Bernadette Rostenkowski-Wolowitz, a microbiologist, on CBS’ The Big Bang Theory. Each celebrity used his or her social channels and hashtags, amplifying key messages via photos and tweets about FIRST. 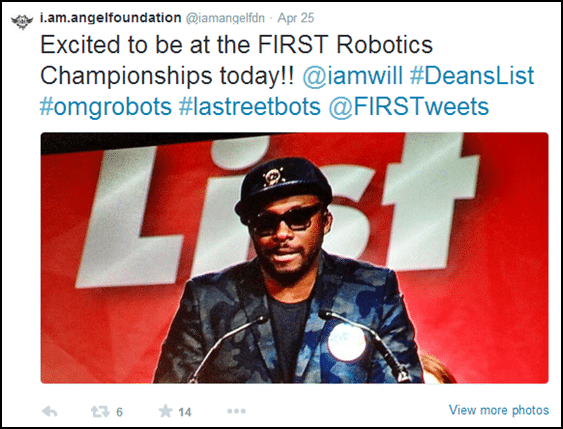 TAPPING A NEW TUNE: will.i.am live tweets from FIRST Championship, showcasing his support for FIRST and STEM education. The 2014 PR effort generated 75 placements and 858,496,160 impressions, an increase of more than 400 million impressions compared with the 2013 campaign. National coverage included Associated Press, BBC,Bloomberg Radio, Bloomberg.com, Natgeo.com, The Weather Channeland U.S. News & World Report. In addition, all St. Louis TV stations attended and covered the event. The Saint Louis Business-Journal produced two features on corporate support of FIRST, including a video interview, and the St. Louis Post-Dispatch produced daily stories and a feature about girls in science with quotes from the president of FIRST. The local St. Louis NPR station attended and covered the Championship. The campaign also secured stories about the top teams in their hometown media, including the Dallas Morning News, Detroit Free Press and Detroit News. Cone evaluated Facebook and Twitter data for FIRST from April 19-30, 2014, to get an accurate view of social conversations before, during and after FIRST, spotting growth patterns, compared with 2013. Likes on FIRST Facebook posts spiked 350 percent, compared with the 2013 FIRST Championship, while Comments about posts and new-page Likes more than doubled, to 150 percent and 101 percent, respectively. What is more, a competitive analysis revealed that FIRST stayed ahead of a competitor and its annual robotics championship held during the same month by spurring more than 46,000 conversations on Facebook and Twitter. That sparked a total of 168,520,338 Twitter impressions and 802,552 total Facebook impressions. By harnessing the power of the FIRST social fan base, we’ve been able to grow our followings on Facebook and Twitter, while more and more fans are engaging in quality conversations and sharing their emotional experiences with FIRST. Each time a nonprofit rolls out a campaign it is showcasing its mission in action. Here are some PR tips that nonprofits could leverage for their next marketing communications effort. ▶ Communicate your mission without the traditional press effort. GoldieBlox launched its line of toys for girls with a mission: increase the number of females entering STEM fields. Instead of a traditional press release or event, the start-up catapulted into popularity with a YouTube advertising campaign and a video (that went viral). The short video flips the thinking on the traditional-girls-in-pink image, featuring young females rejecting the princess stereotype as they race around to engineer an elaborate Ruth Goldberg-inspired machine. The video’s smashing social media debut caused major media outlets to write stories about the brand, impacting an issue as opposed to just being a toy start-up, with stories running in The New York Times, TIME and Huffington Post. ▶ Put a bold new face on a traditional cause-marketing campaign. Avon’s Walk for Breast Cancer is an iconic cause-marketing event that has raised millions of dollars to fight a deadly disease. This year, the brand introduced a bold goal with edgy, compelling content and a different call to action, Avon39 – The Walk to End Breast Cancer. The campaign asks consumers to strengthen their body and beat cancer by walking 39 miles during a two-day period. The website features copy that almost dares consumers to be brave enough to accept the challenge, offering 39 training tips and a personal trainer to help runners attain their 39 miles, alongside advice for accomplishing the organization’s fundraising goals. ▶ Create unusual partnerships. The global water crisis is not something you would immediately associate with a premium alcohol brand like Stella Artois. But when Matt Damon’s nonprofit, water.org, created an unlikely alliance with the Belgian beer company, together they launched a campaign with compelling stories about women who walk millions of miles every day getting clean water for their families. The campaign leveraged the popular notion of buying a lady a drink, asking consumers to purchase one of three limited-edition Stella Artois chalices in order to help Water.org provide five years of clean water to just one person in the developing world. —M.O. This article originally appeared in the March 30, 2015 issue of PR News. 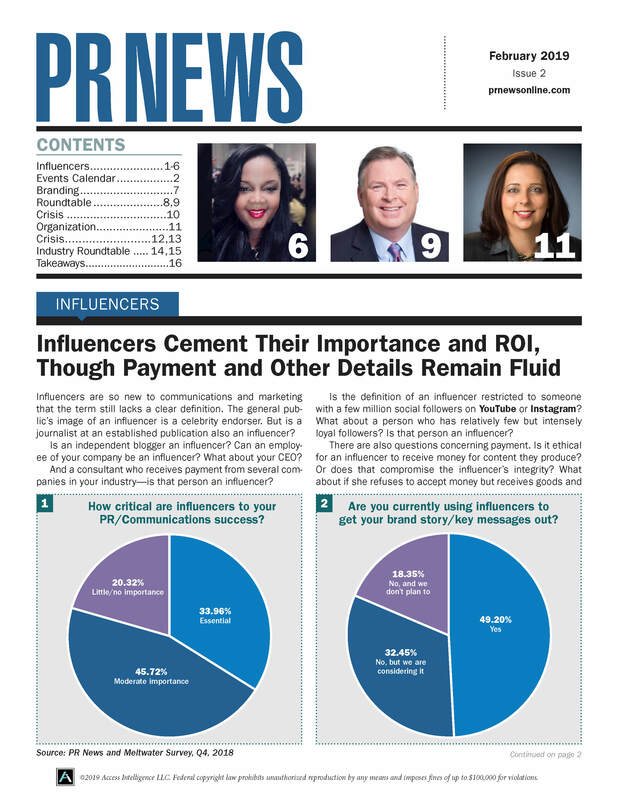 Read more subscriber-only content by becoming a PR News subscriber today.